Our health care staff consists chiefly of three registered nurses, who are responsible for the overall health of our campers and camp as a whole. For most of our sessions, there is a Doctor that resides on property as well. An off-site physician reviews and approves in writing all standing orders which are revised and updated annually prior to each summer’s opening. Medical care is available on a 24-hour basis by our Doctors and Nurses. A web based log is kept of any and all treatment provided which can be reviewed by camp's leadership at any time. At Camp Ridgecrest we often have an EMT on site as well as a Medical Assistant at each camp to ensure that we are over prepared for any scenario that should arise. Campers are not required to have a physical or health screening prior to their arrival at camp. However, there is a required Health History form that must be filled out by a parent or guardian. Please visit our Download Forms page (after March) to find this form. All medications are prepackaged in "bubble packs" by Sunshine Pharmacy in Black Mountain, NC and are distributed to your child by our Medical Team. The Pharmacy will contact each camp family by phone to discuss the details of your camper's medication before you arrive. We can accommodate most food allergies and special diets. If your child has an allergy you'd like to discuss, please call our camp office to speak to one of our Directors. 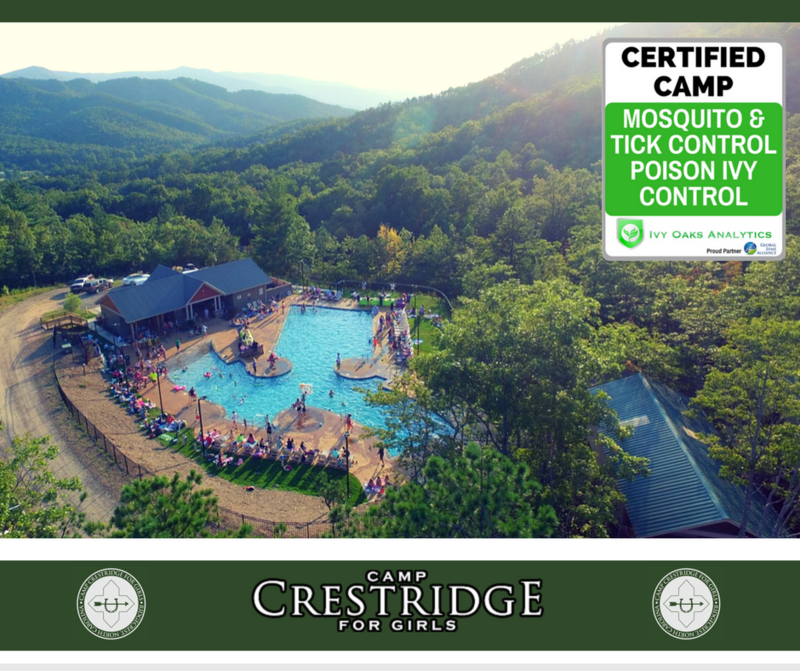 Furthermore, our Camps are certified in Tick, Mosquito and Poison Ivy Control by Ivy Oaks Analytics. For more info about how we are eradicating Ticks, Mosquitos and even Poison Ivy on our property, click here! To learn more about nursing opportunities with our camps, call us at 800-968-1630 or email us at rscamps@ridgecrestcamps.com. You can also learn more in the Staff section of our web site. For trips out of camp, our experienced staff are trained to meet the medical needs of our campers. All trip leaders are Red Cross certified in CPR & AED, as well as Wilderness First Aid. Waterfront staff maintain a Lifeguard certification as well as CPR for the Professional Rescuer. Almost all of our staff on property are certified in NC to administer Epinephrine (Epi-Pens) if necessary. Furthermore, EMS and other first responders are only 3 miles away.